Do you think we’re the best?! 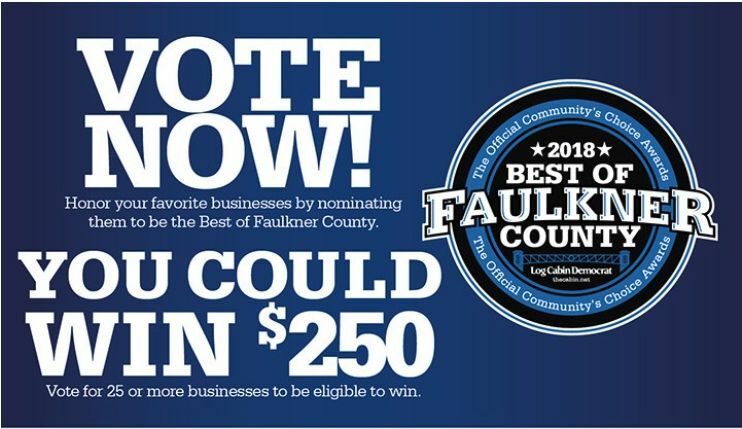 We are proud to announce that our store has been nominated in several categories of Faulkner County's Best of the Best 2018 Awards! Readers and community members across the state can now vote on their favorite places to eat, drink, read, relax, play and of course shop! If you think that we’re the best please register to vote and select your favorites today! We were nominated for Best Women's Clothing, Photographer & Jewelry Store. Make sure to come back every day & vote for us! Votes are now being taken until June 25th. When you complete your voting ballot you will automatically be entered to win a $250! 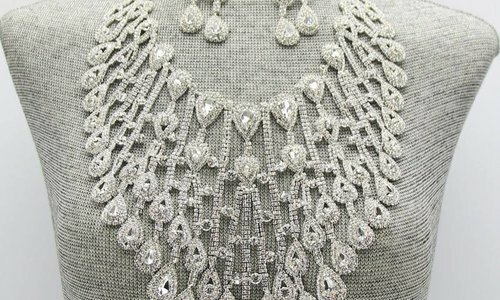 Our store has already been nominated for several categories including, Best Women's Clothing, Best Photographer & Best Jewelry Store! We are so thankful to everyone who has already nominated us! To be nominated is an honor in itself, but to be nominated several categories is just amazing! We love our customers and supporters so much, and to see the community even consider us for these awards is very rewarding! We work incredibly hard to make sure our store has something for everyone, and it seems as though our community has taken notice. Our boutique has bras up to size O, lingerie up to 6X, dresses, jewelry, shoes, robes, swimwear, nursing bras, earth luxe products, and so much more! Voting for these awards will continue until June 25th. Be sure to submit your votes for your favorite stores, restaurants, and other establishments in Arkansas to make sure your favorite is the winner! Make sure you vote for at least 25 businesses to be entered to win a $250! We are so incredibly grateful to our customers for nominating us in so many categories. Thank you so much to everyone who has already nominated us, and the many more who have voted for us! WE LOVE YOU ALL SO MUCH! You have no idea how much it warms our hearts to see that the community thinks we’re the best!!! Cast your votes here today! Why do you think we are the best? There are many stores that sell cute things, have a variety of options, or photographers that take beautiful pictures... What sets your store apart is the relationships you create, the love you all give, the respect you all show, and the fact that you have the ability and willingness to take the most insecure woman and fill her full of confidence and love for herself. Angie Davis deserves to win every category for not only the photos taken or the the things sold but because shes changing people's life for the better. I’m so excited for Angie Davis to get the recognition that she so richly deserves. I’ve never been in a store so welcoming to all women; it is truly an empowering experience. I’m so grateful for Angie Davis and her amazing staff! I can’t say enough great things about your shop. The cosabella sets I’ve purchased have been the best I’ve ever worn. I need to get all the colors!! The staff is incredible and so helpful. Zero judgement and so pleasant to shop there!! There is no other store in Conway that I am able to buy my size bras in the selction that Angie Davis has. Bigger girls usually have to just pick a bra based on the size available and hardly ever have a wide selection of cute bras. The ladies at the store are super nice and helpful. I won't shop anywhere else for my underbritches. Lol. Love Angie Davis.